Karimnagar, January 10, (way2newstv.in):The real danda district is now in the stagnant after the annulment of the banknotes. After the reorganization of the districts, Metropolitan district headquarters and metropolitan areas and mandal centers spread over the suburbs. Incidentally, illegal layouts have been reported in the suburbs of the town, mandal and village. If the lands are regulated (lay-out), general municipal municipalities and village panchayats are economically strong. This will lead to funding for infrastructure and development in their respective towns and villages. The realities of the municipalities and the panchayats have been hit by a large scale. Illegal layout of the rules is ready to sell the plots. The common people are being fooled by buying out-of-the-house places to realize their home. 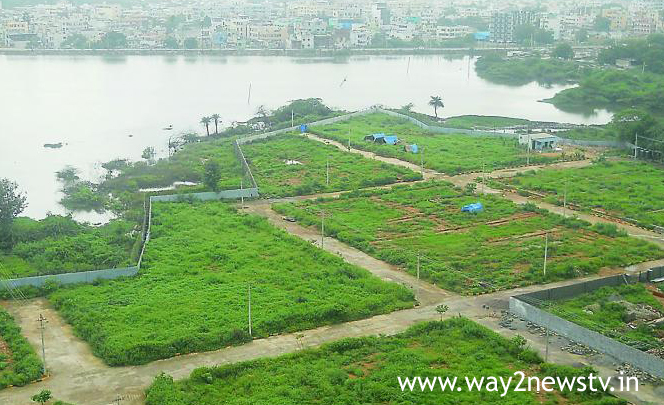 Plots for sale in the suburbs of Dupvada, Deendayalnagar, Bedi labor colony, Sairamnagar colony, Sulthanpura, Brooklyn School, Balaamma Temple near Arpetta, Venkatraopetta, Marutinagar and Vellula subdivision are still going on. On the latest banyan hostel in the town suburb, Ruganta, Vellulala Road, Sattakkapalli and Madepalli villages of Mandalapalla are illegal mellows. 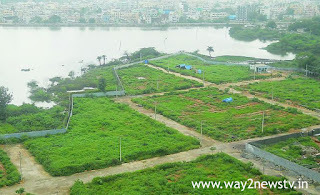 Farm lands in the suburbs of Riyikal, Medipally, Kathlapur, Malyala, Dharmapuri and Kodimalai Mandal are becoming plots. Reuters have alleged that the authorities do not mind if they have a large layer of municipalities and panchayats in the face of mobilization.